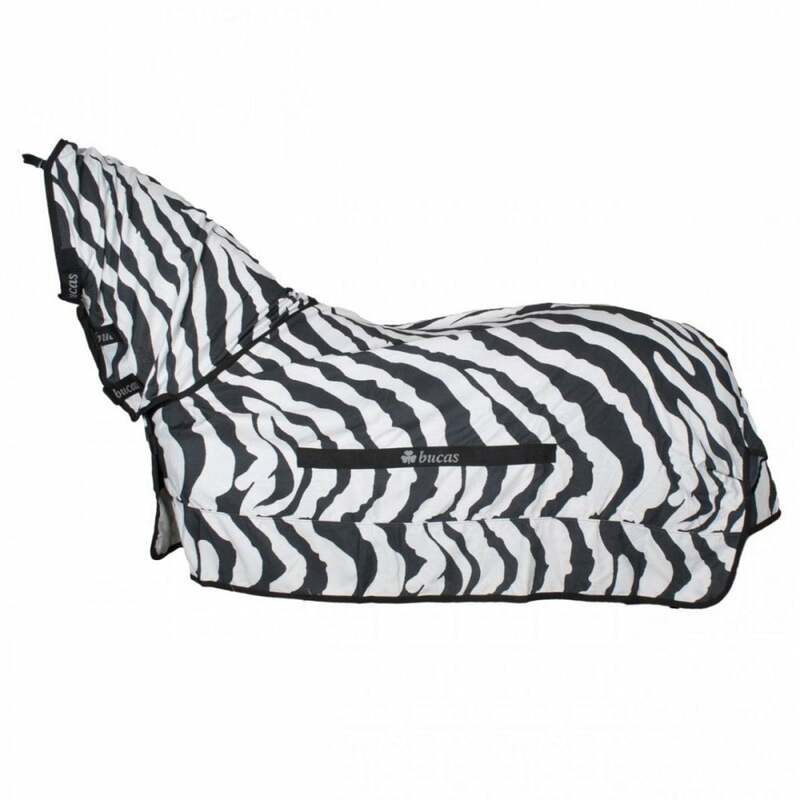 The Bucas Sweet Itch Zebra Rug is made from a specially developed fabric that blocks entry from even the smallest of insects to offer additional protection for sweet itch proned horses and ponies. Particular attention has been paid to the mane and tail areas ensuring that they are protected to prevent the itch–scratch cycle that is synonymous with sweet itch. This rug offers full body cover with a neck that reaches to the ears covering the whole mane area. An elasticated, detachable belly flap covers from the elbow to the sheath, offering protection to the horse’s whole body. The zebra print outer is proven by scientists to confuse flies to help keep them away.